SAFE is a trade union for personnel working in the energy sector, both onshore and offshore. The name is an abbreviation of Sammenslutningen av Fagorganiserte i Energisektoren, SAFE for short. SAFE is a consequence of the development we are seeing as regards organisation of work, both within the offshore sector and the onshore energy sector. Fundamental changes are taking place, resulting in numerous challenges. This shows that there is a need for a strong union that is capable of safeguarding the rights of personnel in this industry. 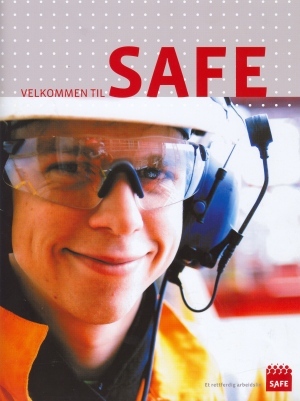 SAFE is a politically independent union affiliated the Confederation of Vocational Unions, YS. Read more about YS. SAFE will be YS’ organisation for energy sector personnel in the widest sense of the word. Our goal is a fair working life! Why is it a good idea to become a member of SAFE? Accessibility is one of our key objectives. We shall have a flat organisational structure, ensuring you as a member easy access to union leaders. This is simply because you are the reason we are doing this. We are an organisation made up of and for employees in the energy sector. You may take part in influencing upon and developing «your own » organisation in this community. Striking power is required to resist the increasing cynicism seen in business life, which in our view is an expression of the globalisation of the Norwegian economy. International players are adopting international ways of running their business – and often these regimes set back the rights of Norwegian employees several decades. Companies have become stock exchange profiteers, where everything is a matter of optimum profits. Current profit requirements often lead to labour becoming the balancing items in the accounts. That is why a potent organisation is needed, an organisation that can fight for the safety of the individual, and against temporary labour and employment contracts. What about the «old» OFS? Thanks to the previous organisation, OFS, oil workers in the Norwegian offshore sectors are now enjoying very good working conditions and terms! This is not something claimed by «old» OFS people alone, it is a widely accepted fact. SAFE will build on the results achieved through the joint efforts and experiences of these members. You are invited to join this community and develop it further. Bear in mind; an organisation is as good as its members make it!